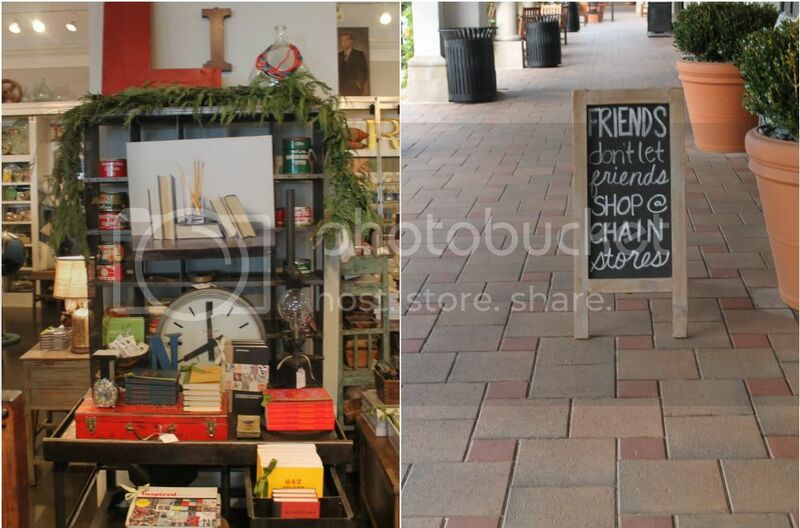 One of my favorite places to shop or just for a little inspiration is Juxtaposition. It is located along the Pacific Coast Highway in the Crystal Cove Promenade in Newport Beach, CA. Even as often as I visit Juxtaposition, there’s always something new. I loved these wonderful candles made from old jar and bottle molds and the reclaimed apothecary bottles to hold matchsticks. 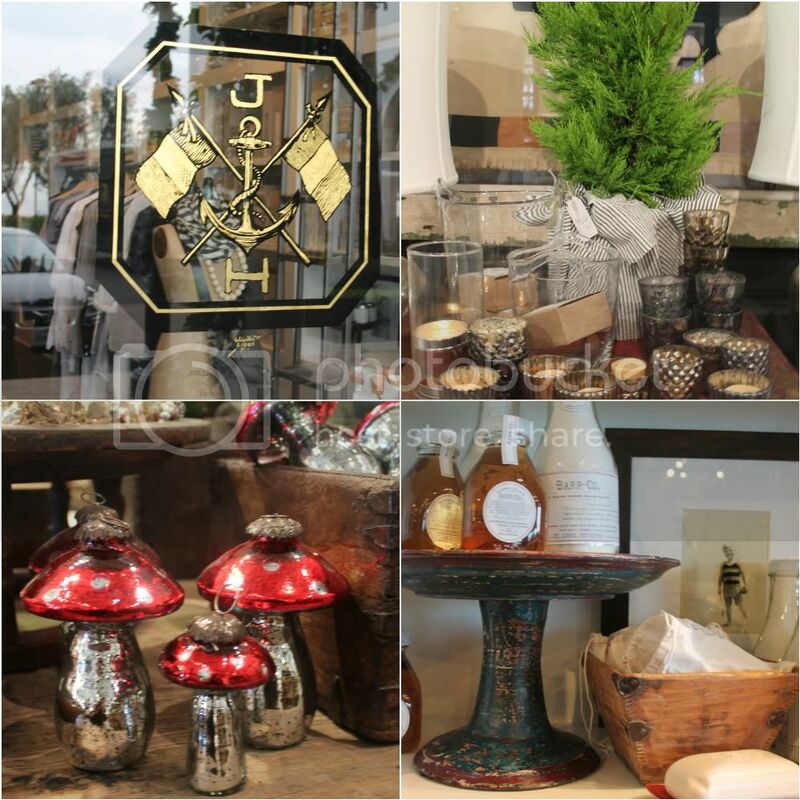 It’s a great place to buy gifts, but I have a hard time parting with anything I buy at Juxtaposition. They wrap everything beautifully and every ticket is hand written on a three-copy sales slip…just like it used to be done everywhere…I love that! At 3,000 square feet there’s plenty of space to move about and it usually takes me at least twice through to make sure I haven’t missed something new. The staff is very knowledgeable and helpful, but will let you look around at your own pace. I wish this were my closet…I love everything they have…from bags and shoes to boots and clothing pieces…a very well edited collection that fits my style perfectly. I love this sign that sits out front. There are several wonderful restaurants right in the same shopping center, like Pacific Whey next door, but for the best view…head across the street to the Shake Shack. 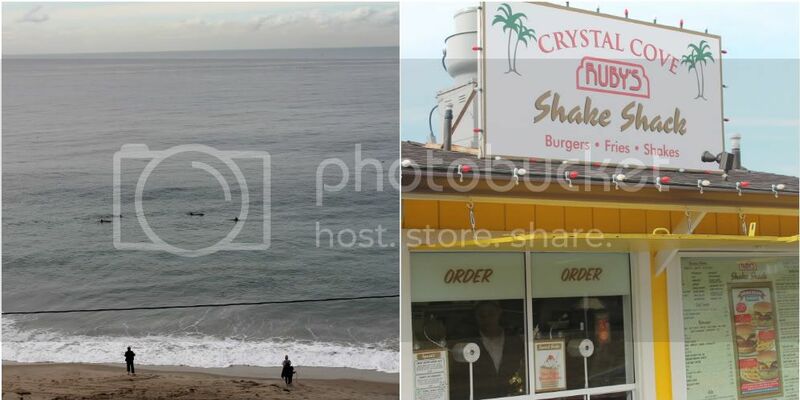 Just across PCH (north) is the Crystal Cove Shake Shack, now owned by Ruby’s, but still one of the best views. Right after leaving Juxtaposition I drove over to the Shake Shack and it was just after the rain had cleared. . . It’s not everyday you get to see a school of dolphins swimming this close to shore. Thank you Michele and Ellen at Juxtaposition for allowing me to photograph! Can I come with you next time??? I haven't been to the Shake Shack since Ruby's bought it. 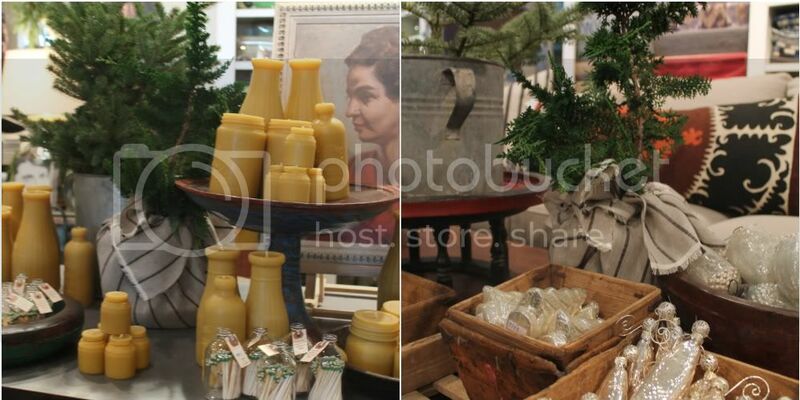 Those beeswax candles look fun…and the tree in the striped fabric…I have some fabric like that. Great ideas. ALL my favorite places – I LOVE walking through Juxtaposition and just like you said – even if just for inspiration – they are my all time favorite place (LOVE their pillows!) and if I buy a gift it is usually in duplicate (one for me, one for them, ha ha). The restaurant next door (Pacific Whey) has the best breakfasts – we love stopping their after church on Sundays. I have been going to the shake shack long before it was owned by Rubys – actually rode my bike there once from Long Beach when I was a teen! I'm so glad you shared – I haven't been down there to see Juxtaposition decorated for Christmas this year and do you know that I have NEVER seen more than just one dolphin swimming on the shore like that ? Thanks for the look at some fun places! I've heard so many things about this place, but have never been! I must go at some point! Do they sell locally made merchandise? Love the sign out front too. Oh my, what a fabulous store!! I could do some serious damage to my bank account in there… What a gorgeous end to the day too. Looks like a great place with a little something for everyone. Perfect one-stop shop for Christmas shopping. stayed at pelican hill last year…spent hours in juxtaposition….bought so many amazing pieces…worth the 3000 mile flight to go back!!! 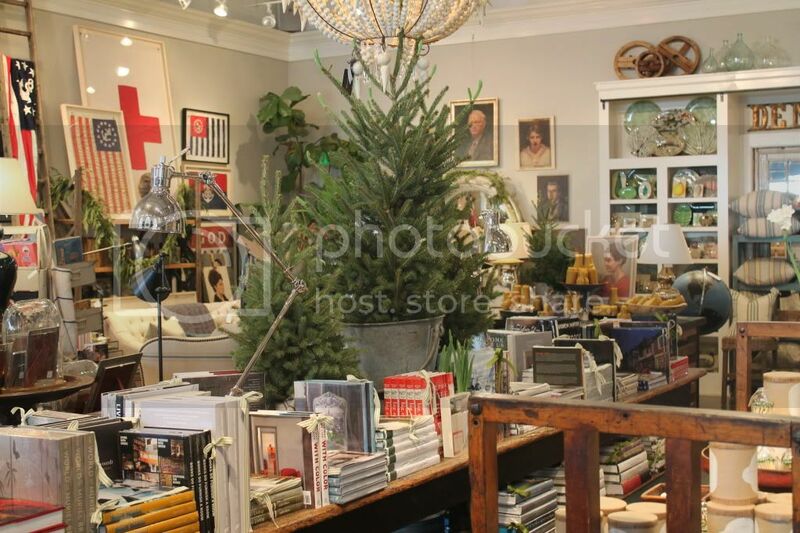 That shop looks like heaven on earth, I love the beeswax candles and the old portraits, off to see if they are online! Wow, that shop looks dangerous, too many great things to buy. I love the old bottle molded candles! Hello Annie:This looks an absolutely wonderful place to do one's shopping and, with a beach close by, how perfect!As you say, there are so many absolutely lovely things that it must be difficult to know where to look or how to choose. It is so refreshing to see a store with goods which are displayed so beautifully and, clearly, have been chosen with care. Annie – I was going to ask how you went about getting pictures – ah, asking permission… I tend to sneak pics and if caught, ask for forgiveness. Did they ask to see your blog first? Your style and theirs is obviously a great match.I am on my way there later today. It's been on my "to do" list, and your preview confirmed it as a "must do". Cheers! Juxtaposition is my kind of place… looking forward to my first shop-stop! Hopefully soon! If I could get their tomorrow I would certainly by done Christmas shopping! what a great shop. thanks for the info on it. i will stop in next time we are there. and i love the shake shack too! one of my favorite stores! hope you are well! I just drove past here on Saturday! I noticed the Ruby's Shake Shack, so cute. This store looks awesome. Love that post. Juxtapostion is one of my very favorite store and I always try to make a trek out there when I'm in So. Cal. Love the food at Pacific Whey too. It's fun to see it at Christmas. I haven't been there at that time.Merry Christmas! My face store in Newport.